The NV-P2100 delivers high efficiency stereo amplification at 200 watts. The amplifier is compact, powerful, and cooler than other amplifiers. High efficiency technology means you’ll use less operating power with the NV-P2100 than with other amplifiers. And output relays eliminate external interference and protect speakers from dangerous voltages, unwanted pops, and extraneous noise. Boost the amplification of your Simplese or Essentia whole-house audio distribution system with our compact 200-Watt Amplifier. This amplifier offers two channels of clean, pure sound, and integrates features of typically much more expensive and complex amplifiers. High-efficiency technology allows it to run significantly cooler than other analog amplifiers and requires less operating power. So placing it in a rack with your expensive and sensitive audiovisual equipment does not pose a heat risk. Plus its compact, half-rack size allows it to fit easily on top of the Simplese, or fit two units side-by-side on top of the Essentia. The 200-Watt Amplifier features a switchable audio sensing trigger, allowing it to be turned on from an incoming audio source. This makes it ideal for use in conjunction with whole-house audio systems when additional power is needed. The unit can also be triggered to turn on using an external voltage of 3-30 volts, either AC or DC, enabling the amplifier to be turned on or off from a switched remote power source. 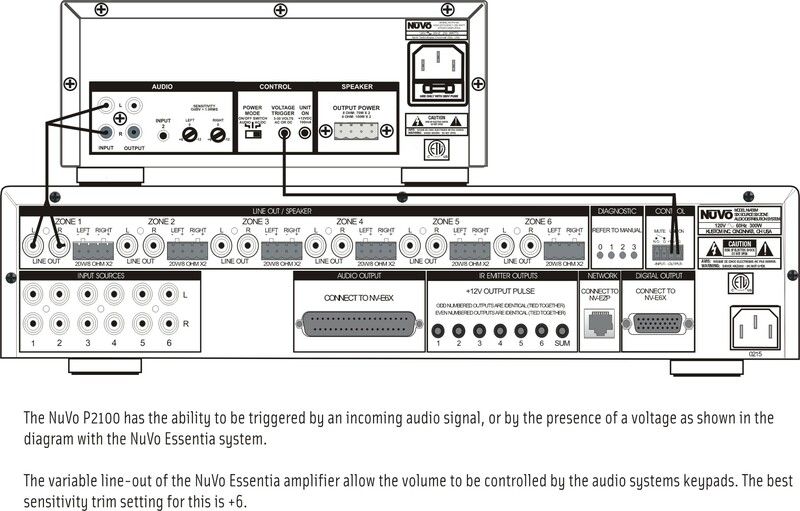 Independent left and right channel sensitivity control lets you maximize the potential volume of any audio source.